Oh so soothing! Oh so natural! 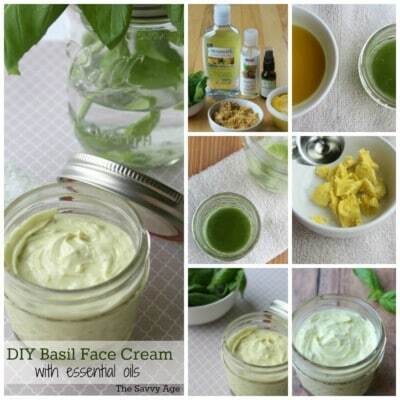 and Oh such a great way to combine essential oils with your garden basil and whip up a batch of Basil Face Cream. I know basil is always one of the most robust herbs in my garden and this is a wonderfully natural use for your home grown basil. Your face will say thank you! Mother Earth News delves into the health benefits of Holy Basil of which their are many! One of the best health benefits of basil is the basils’ membership in the adaptogen family. Adaptogens are stress reducers and battle the constant fight or flight symptoms found in todays’ busy society; stress reducers which target the adrenal system as a whole. So let the stress reduction begin! This is best accomplished with a food processor. Combine witch hazel and your fresh basil leaves and blend together. The mixture is now green. Strain the witch hazel mixture into a half-pint canning jar, until you have ¼ cup of basil liquid. If you are short of the 1/4 cup simply add water. 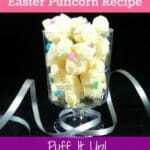 Add to your microwavable bowl: Shea butter, Almond oil and emulsifying wax. Melt by heating in 30 second increments until melted and smooth. Now add the basil mix to the butter mix and slowly stir together. Allow it to cool and thicken. After fully thickened add 7-10 drops of Rosehip Essential Oil. If your skin is dry add 10 total drops. Once fully thickened and cooled the mixture is ready to pour into half pint storage jars and seal. Shelf life in the refrigerator is two weeks. Is Basil Face Cream An Anti-Aging Cream? I have seen Basil Face Cream associated with anti aging. Does my face like this cream? It does. Would I say the cream is an anti-aging cream? My opinion is that as much as we’d like creams to reverse aging gravity usually wins for any cream. This is not to say creams which are compatible with your face are not helpful to soften the effects of aging. 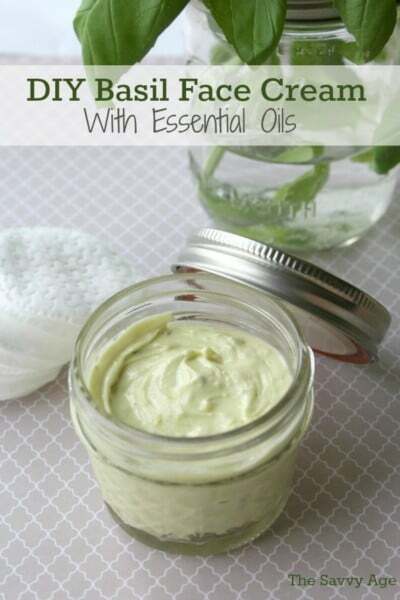 I love the ability to naturally combine my garden basil with essential oils for a DIY Basil Face cream which is practical, affordable and useful. What Else Can I Use Rosehip Oil For? Rosehip oil is made from the seeds of rose plants and has a reputation for healing your skin to due its’ antioxidants and fatty acid content. Many celebrities attribute their healthy skin to rosehip oil. Let’s look to the scientific community for their studies on rosehip oil and their conclusions; an informative and interesting report on the Therapeutic Applications of Rose Hips from Different Rosa Species delves into the various benefits of rosehip oil from skin moisturizing, inflammatory diseases, to diabetes. This is a recommended read for those considering using rosehip oil. 22 Popsicle Stick Crafts For Kids & Adults! This sounds very easy to make and I would love to..the downside I don’t have or use a microwave could I just heat it? Oh I love this! 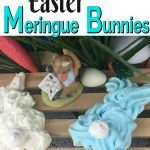 I make coconut sugar scrubs but will have to get some Shea Butter and try this! I love healthy and natural recipes. 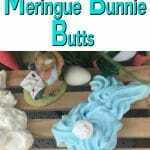 The coconut sugar scrubs sound like a great DIY!